Texas has chosen Bryce Elder to lead the Longhorns into the 2019 baseball season. Elder has been named the starting pitcher for UT’s season-opening game at the University of Louisiana at Lafayette on Friday. A sophomore right-hander, Elder was primarily used out of the bullpen in 2018. Over 22 appearances and 35 2/3 innings, Elder was 6-1 with a 5.55 ERA, 31 strikeouts and 18 walks. In his only start, Elder filled in for a disciplined Nolan Kingham and worked a career-high five innings at Oklahoma. Less than two weeks ago, Elder had an impressive outing in UT’s annual alumni game. Elder pitched 3 2/3 innings and struck out four of the final five batters he faced. Texas coach David Pierce said after that scrimmage that Elder’s velocity was reaching 93 miles-per-hour. You don’t have to wait until Friday to find out who’s toeing the rubber first for your Horns. Texas is scheduled to play three times at ULL this weekend. The Longhorns have yet to announce who will be the starting pitchers in the other two games. Junior Blair Henley, an all-conference honoree who has started 26 times in his career, is among the options. Texas is coming off a season in which it went 42-23 and reached the College World Series. ULL, meanwhile, compiled a 34-25 record in 2018. Last year, Texas went 2-1 against ULL in a season-opening series at UFCU Disch-Falk Field. RHP Bryce Elder will log the first start of UT’s baseball season. 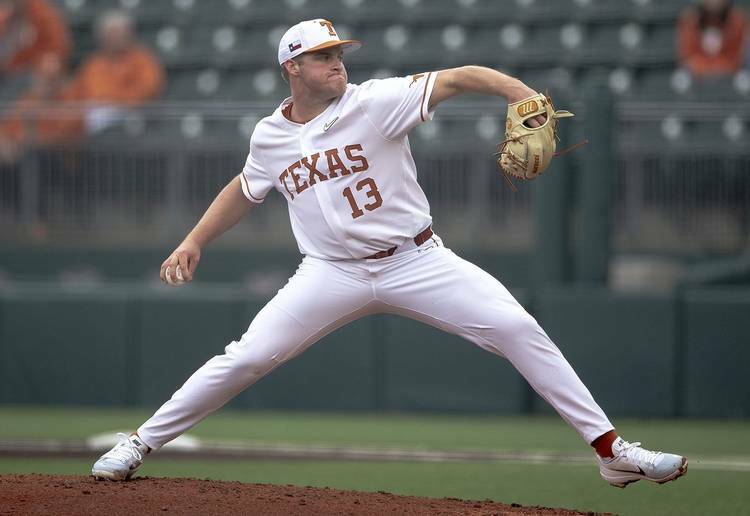 How have the starts on Opening Day recently gone for the Longhorns?